For years I have wanted to design a knot garden. As luck would have it, my mother-in-law asked me to help her with just that! I’m fortunate that her existing garden has great bones to build upon. There is an established boxwood boarder and the space is already so inviting. The Dwarf Alberta Spruce need to go (these are the pointed 'mini-Christmas trees') and far too many perennials have decided to call this garden home over the years. A simplified, elegant design is in order! Knot gardens are intricate patterns of shrubs or perennials pruned into hedges. These parterres can be found back into the 16 century, usually on the properties of castles. Knot gardens were especially coveted by the English, but heavily influenced by the French. What came first, the chicken or the egg?...kind of thing. 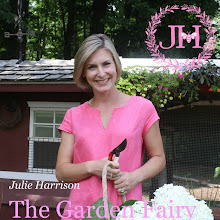 Either way, I just love these gardens and I’m sure you will too. Here are the before pictures of the garden and the early drafts of my drawings. If you don't have a drafting ruler, you need to get one. This drawing was done at 40 scale.